The whole computerized universe is in a steady condition of transition, for all time developing to grow new, further developed manners by which brands can emerge and achieve their clients, and keep them more joyful than at any other time. Need help? Call us today! With the explosion of wearable technologies, machine learning, and artificial intelligence, chatbots got impressively wide adoption in 2018. Powered by AI, these intuitive pieces of software are designed specifically to simulate real-life conversations and provide instant customer support. Above all, they keep collecting customer data to “learn” more about their behavior patterns, language, as well as their preferences, problems, and expectations. This way, they can humanize their conversations and provide each customer with highly personalized user experiences. Given these facts, it’s not surprising that 85% of customer interactions with brands will be handled without a human agent by 2020. 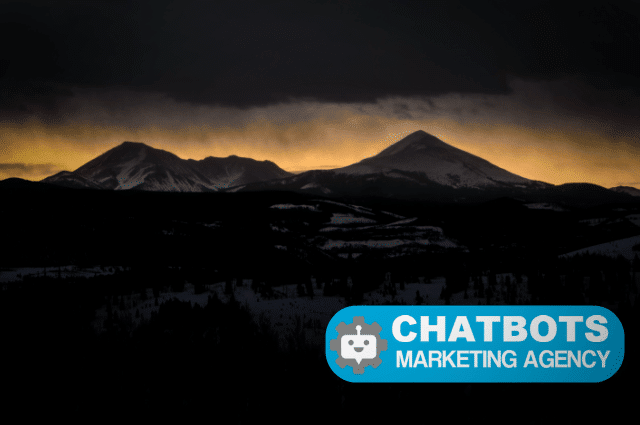 So, let’s see how chatbots can give your business a boost in 2019. In the mobile-first era, your customers expect you to answer their questions fast, across multiple channels. For them, being held on hold and listening to the same boring tune while trying to reach a customer care agent is not an option anymore. And, stats back me up on that, showing that an average customer expects a brand to provide feedback within 24 hours. This is where chatbots step in. A chatbot never sleeps. It provides real-time assistance, irrespective of your customers’ time zone, location, or device. This is especially important for businesses that are operating internationally or they’re planning to expand. By investing in a chatbot, you’ll be able to handle more tasks efficiently, without compromising customer satisfaction. Most importantly, chatbots are designed to bring value to your target audience. Through natural and friendly interaction with a customer, a chatbot asks additional questions to learn more about a customer and a problem they face. Along with textual and voice-backed messages, chatbots also use some additional content like images, blog posts, product pages, and so on. For example, they play an immensely important role in e-commerce marketing. For example, Ebay’s ShopBot asks a customer multiple questions about the product they’re asking for, such as its brand, color, and price, to help them find a perfect one. This is how the software can understand the core of the problem and provide a relevant solution to a user. Sometimes, their conversations are so pleasant that 63% of customers don’t even understand that they’re not talking to a human. Moreover, 70% of customers even prefer chatbots for quicker communication with brands. To get personalized help and tips from a chatbot, customers first need to log in and provide information about their problems, needs, preferences, and expectations. Anything, from their basic demographic data to the language they use while interacting with a chatbot is a gold mine of customer information that helps you deliver highly personalized experiences at every touch-point. Let’s your landing page attracts lots of traffic, but it has a low conversion rate. Obviously, your goal is to drive more relevant traffic to your site and inspire them to leave their email address. And, this is where chatbots can help. For example, with the proper 24/7 sales chat management, you can ask a few probing questions to determine whether a lead is qualified and engage them proactively. The information chatbots collect is vital to both your sales and marketing teams, letting them revamp their lead generation efforts and increase conversions. When building a digital marketing strategy, your goal is to grab people’s attention and get them to visit your website. However, what happens when they land there? You need to engage them and keep them interested in your brand. After all, an engaged customer is the one that clicks on more than one page on your site, interacts with your brand, and buys from you. And, this is where chatbots shine. Most importantly, they humanize your brand through meaningful conversations and provide highly targeted user experiences. Just look at the Nike Bot that helps customers create their unique shoe design. The mere fact that they can unleash their creativity and share their awesome ideas with their friends has increased users’ interactions with a chatbot and created lots of buzz around the brand. Another awesome example of chatbot marketing is Sephora’s chatbot. Namely, the popular brand designed a chatbot on Kik to give their customers valuable makeup tips, product recommendations, and product reviews. Namely, a customer needs to take a brief quiz about their preferences and makeup routines. Next, based on their answers, a chatbot provides them with personalized answers and helps them find a perfect product. A customer can even upload their photo and see how certain products look on them. Just the notion of AI and machine learning makes us think that this is something smaller brands cannot afford. However, this is not true. 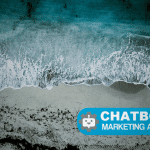 On the contrary, chatbots can be a super-powerful addition to your sales and marketing that not only helps you increase your sales, but also save money. Here is how. First, integrating a fully-functioning chatbot with your website is still more affordable than building a cross-platform app to provide exceptional, omnichannel feedback. It can also be cheaper than hiring employees to handle each of these tasks and platforms. Now, the price of a chatbot varies based on numerous factors, such as its design complexity, AI capabilities, website integrations, infrastructure costs, promotion, and developer. For example, the standard chatbot integration via tools like Zappier usually costs about $2000, while custom integrations are more expensive and usually don’t start below $4k. Second, chatbots are designed to handle repetitive and manual tasks more accurately. Therefore, apart from improving your sales managers’ productivity and cutting employee costs, you will also be able to mitigate the problems caused by human error. Finally, chatbots guide a customer through different stages of a sales funnel, from their acquisition to conversion. They ensure that the leads you generate are highly qualified and go the extra mile to boost their satisfaction and nurture them. That’s why they’ll soon be an inevitable marketing solution for any business that is looking to improve its bottom line. 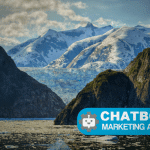 Chatbots are not the future of marketing anymore. They’re already here, bringing numerous benefits to businesses. Even they’re still in their infancy, these AI-powered technologies will help you improve customer support, generate highly qualified leads, and personalize customer interactions. Most importantly, you will be able to insert your brand personality to your chatbot, building a unique brand image and memorable user experiences.